Lin Supertrend is new and responsive version of Supertrend goes live for NSE Future stocks and index futures. Lin Supertrend uses linear regression to bring responsiveness in the system which in turn further controls the drawdown and increases the performance drastically. Lin Supertrend is in open beta mode and charts are available for both 5min and 15min. 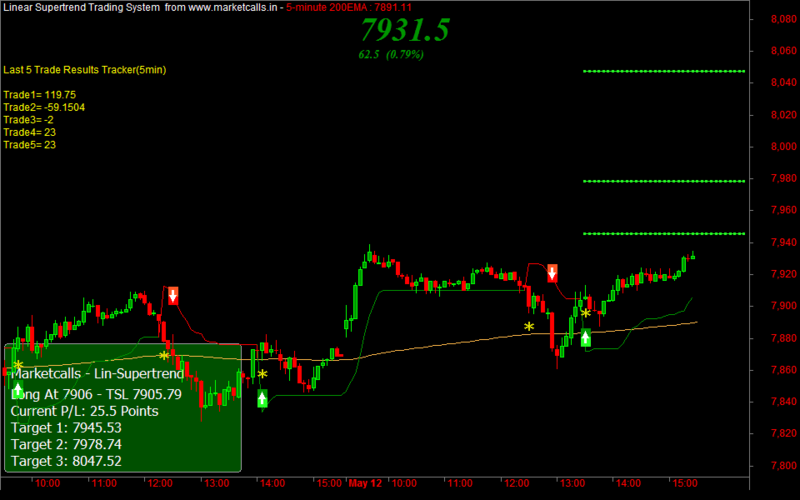 Currently Access is limited to NSE Future symbols. 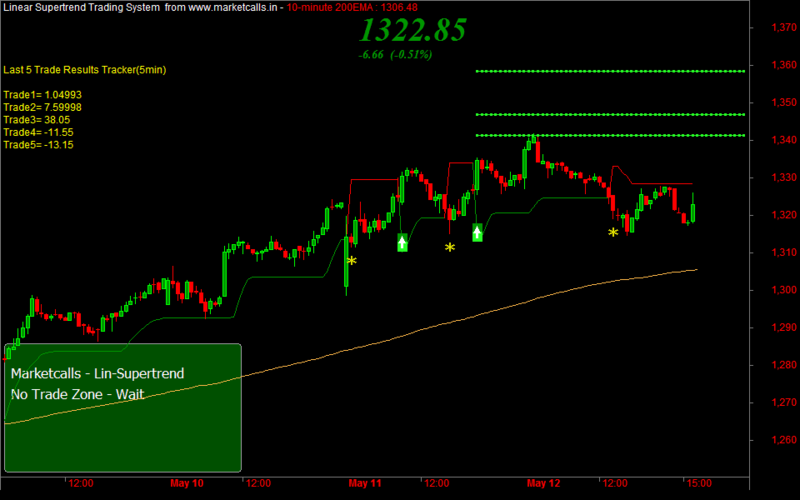 Soon it will be extended to MCX symbols as well. The Long or Short exit signals are indicated by a yellow star and the dashboard indicates No Trade Zone which gives some breathing time to wait for next trade and reduces 20% of noise in the system. More details about backtesting results and performance comparision will be posted in the subsequent articles.